"Sampath Speaking" - the thoughts of an Insurer from Thiruvallikkeni: carriage of goods by Railways ~ what constitutes non-delivery ? carriage of goods by Railways ~ what constitutes non-delivery ? Goods are moved from one place to another either due to sale or otherwise – the movement involves a Carrier and insurance of such goods in transportation is ‘Marine (Cargo) Insurance’ covering perils that could affect the cargo during the transit. The primary duty of the carrier is to transport and handover the goods at destination, much in the same manner as they were entrusted .. .. .. there could be some loss or damage occurring during transit and the Carrier would try to protect themselves through the provisions of enactments ! Goods may not be delivered at destination – risk of non-delivery : dictionary meaning : goods as handed to carrier not received at destination i.e., not delivered by them. It can arise out of host of factors including fire, theft, neglect, failure, refusal to deliver, wrongful acts of employees handling and more – on the part of carrier, vendor, bailee et al. Sec 93 of Indian Railways Act : - General responsibility of a railway administration as carrier of goods.—Save as otherwise provided in this Act, a railway administration shall be responsible for the loss, destruction, damage or deterioration in transit, or non-delivery of any consignment, arising from any cause except the following namely:— act of God, act of war, act of public enemies, arrest, restraint or seizure under legal process; orders or restrictions imposed by the Central Government or a State Government or by an officer or authority subordinate to the Central Government or a State Government authorised by it in this behalf; act or omission or negligence of the consignor or the consignee or the endorsee or the agent or servant of the consignor or the consignee or the endorsee; natural deterioration or wastage in bulk or weight due to inherent defect, quality or vice of the goods; latent defects; fire, explosion or any unforeseen risk: (Provided that even where such loss, destruction, damage, deterioration or non-delivery is proved to have arisen from any one or more of the aforesaid causes, the railway administration shall not be relieved of its responsibility for the loss, destruction, damage, deterioration or non-delivery unless the railway administration further proves that it has used reasonable foresight and care in the carriage of the goods.) ~ that looks quite exhaustive !! 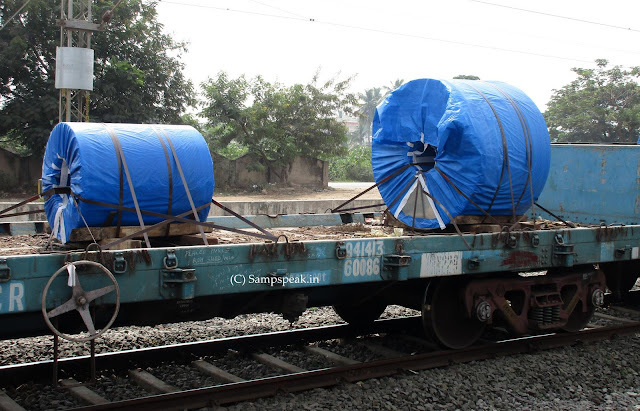 Entrustment to Railways can be on ‘Owner’s risk & Railways’ risk’ – when goods are carried at Owner’s risk – Sec 97 : Notwithstanding anything contained in section 93, a railway administration shall not be responsible for any loss, destruction, damage, deterioration or non-delivery in transit, of any consignment carried at owner’s risk rate, from whatever cause arising, except upon proof, that such loss, destruction, damage, deterioration or non-delivery was due to negligence or misconduct on its part or on the part of any of its servants: (only partly reproduced).. .. when goods are carried so at Owner’s risk rate, Railway administration (as per Sec 97) shall not be responsible for any loss, destruction, damage, deteriorating or non delivery in transit, of any consignment carried at owner’s risk rate from whatever cause arising, except upon proof that such loss, destruction, damage, deterioration or non-delivery was due to negligence or misconduct on its part or on the part of any of its servants !!! (2) Any information demanded or enquiry made in writing from, or any complaint made in writing to, any of the railway administrations mentioned in sub-section (1) by or on behalf of the person within the said period of six months regarding the non-delivery or delayed delivery of the goods with particulars sufficient to identify the goods shall, for the purpose of this section, be deemed to be a notice of claim for compensation. Though the first Indian train (passenger) famously ran in 1853 from Bori Bunder to Thane – the cargo transportation would precede that. Nearer home in Chennai, the ‘Red Hill Railway’, the country's first train, ran from Red Hills to Chintadripet bridge in Madras in 1837. It was hauled by a rotary steam-engine locomotive manufactured by William Avery. Built by Arthur Cotton, the railway was primarily used to transport granite stone for road-building work in Madras. Here is a snippet from an earlier case involving Railway carriage on what constitutes a loss arising out of non-delivery : In the course of the argument in Seam v. L. & S.W. Ry. (1855) in which case the question arose whether goods the delivery of which had been delayed were lost within the meaning of that term used in the analogous provisions of the Carriers Act, 1830, Section F. Baron Martin put this question to Counsel, "Suppose a person delivered to a porter at a railway station a casket of jewels, and in consequence of his refusal to forward it the casket remained for some time at the station, would that be a "loss" within the Act?" and Baron Alderson asked, " Suppose the goods were known by the carrier to exist, but were not delivered by him for a month, would that be a "loss" within the Act?" An affirmation that, in such circumstances, the goods have been "lost" surely involves a distortion of the meaning of the word so extravagant as to approach an abuse of the English language. That judicial authority is not wanting in support of the construction of the term "lost" "for which the Railway Company contends would appear to be due, if I may say so with great respect, to the fact that the intention of the legislature in enacting Chapter VII of the Railway Act of 1890 has not always sufficiently been borne in mind. The object, and, in my opinion, the effect of Section 72 was not to provide compensation for pecuniary losses suffered by the owners of goods consigned for conveyance to a Railway Company, but to lessen the burden of the obligation which, prior to the passing of Section 72, had lain on Railway Companies as insurers of such goods. Now read this non-delivery as reported in Times of India and other newspapers - In a dubious record set by the Indian Railways, they booked a consignment on November 10, 2014, but delivered it only on July 25, 2018 – a full three years and eight months later. The fertiliser-loaded wagon booked in Visakhapatnam for delivery in Basti covered the distance of around 1,300 kilometres in almost four years, said Uttar Pradesh-based trader Manoj Kumar Gupta, who had lost all hope of getting the compost worth Rs 10 lakh. 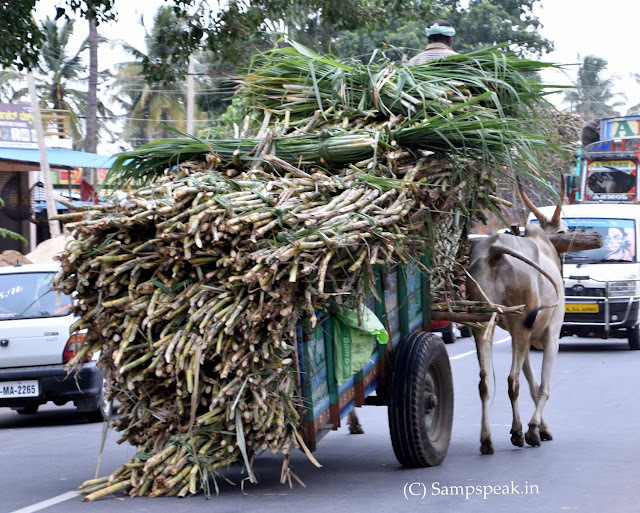 “While I had booked 21 wagons of compost, only 20 reached my destination in time. However, one of the wagons presumably got lost, forcing me to approach the railways for compensation,” said Gupta, who was handed over his consignment of 1,236 sacks of compost after such a long time. “After running from pillar to post for months, I lost hope and gave up the search to concentrate on my business,” said Gupta. The wagon bearing number ‘107462’ was booked by a company Indian Potash Limited (IPL), confirmed officials of North Eastern Railways (NER). “The goods were fortunately found to be safe and has been handed over to the consignee. An enquiry has been ordered into the delay,” said Sanjay Yadav, chief public relation officer (CPRO), NER, the railway zone that owns the wagon. “The wagon was lost in transit. When the matter came to light recently, we launched an exercise to trace it,” said Yadav, while also blaming Manoj Kumar Gupta for the inordinate delay. “The consignee never tried to track the goods and hence it remained missing for so many months,” said Sanjay Yadav while insisting that the wagon was lying unattended in a yard at Vishakhapatnam itself. “Possibly, the wagon was detached from the goods train as it may have been declared sick (unfit to ferry). But due to the apathy of officials, the wagon was left unreported,” said Sanjay Yadav. Strange are the ways of people ! ~ how Insurers would have handled this case if a claim for non-delivery had been preferred and what would be the position now when such consignment gets delivered after full 3 years and 8 months later ! !